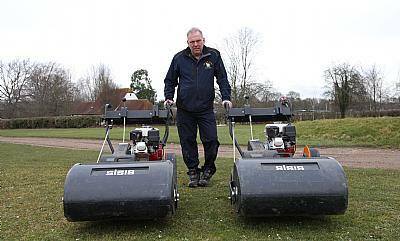 SISIS key to cricket maintenance at Merchant Taylors. Merchant Taylors’ has recently purchased a range of SISIS equipment to help maintain the top class cricket facilities on offer at the prestigious school in Middlesex. Academic prowess aside, at Merchant Taylors’ School there is a huge emphasis on sport and the success of its sporting teams is testament to this. Cricket at Merchant Taylors’ is exceptionally strong and just last year the school won the national under 17’s cricket competition - which was an outstanding achievement for a day school. To date there are currently 17 competitive teams throughout the school who enjoy playing the game across 12 grass cricket squares, indoor and outdoor (all weather) nets, grass nets, and 3 bowling machines. Such is the quality of the cricket facilities that Middlesex County Cricket Club train regularly at the school and use it as a pre-season training camp. The Australian cricket team also trained at the school in preparation for their Ashes tours of 2013 and 2015. Richard and his team of ten have exceptionally high standards and never rest on their laurels despite a hectic work schedule. “I like to think that all of our sports surfaces are good but we are always striving for that bit more,” he says. “I have a great deputy in Scott Patterson who was the former head groundsman at the Oval and he has really pushed the cricket on. As a result, Richard invested in a range of heavy duty SISIS scarifiers – two self-propelled Auto Rotorake MK.5’s and a tractor mounted Rotorake TM1000. The SISIS Rotorake TM1000 is a tractor mounted heavy duty scarifier and linear aerator and is un-rivalled when it comes to removing and controlling thatch. It includes a collector box and floating unit to follow ground contours and its contra-rotating reel throws debris forward ensuring a clean, consistent groove resulting in an excellent finish when the time comes to scarify. With interchangeable blades and a quick, simple depth setting without tools, Richard has been quick to notice the benefits. Over recent years Richard has been a big fan of the Auto Rotorake MK.5 and the two new machines were brought in as direct replacements for two older machines. It is perfectly suited to a range of applications from sports field maintenance to synthetic turf maintenance, lawns and amenities. Its contra-rotating reel has specially designed tipped blades for clean, consistent cut and maximum thatch removal. Furthermore the Auto Rotorake MK.5 features a selection of seven different interchangeable reels which enables the machine to carry out a variety of maintenance tasks. 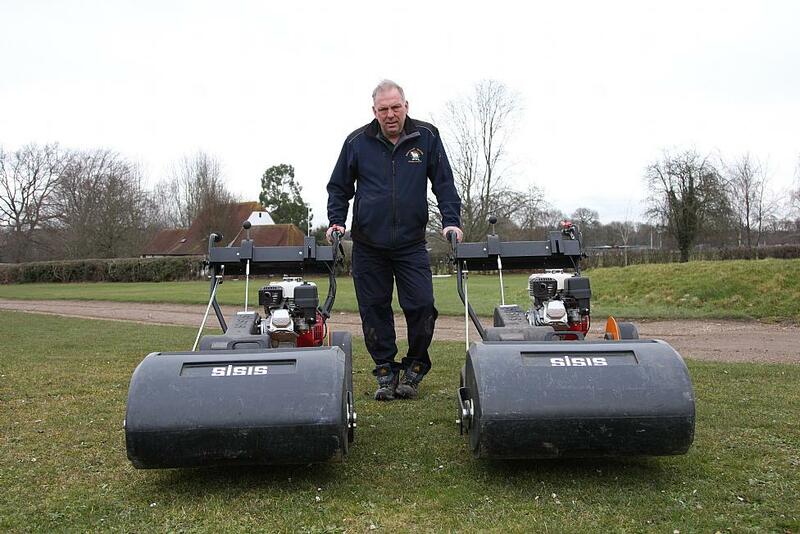 “The Auto Rotorake MK.5 is the perfect sized machine for us and we predominantly use it for cricket pitch preparation and also on the smaller school lawns for scarifying.